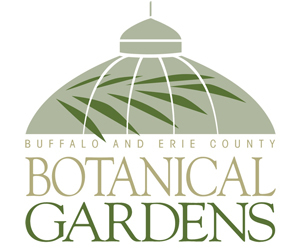 Last week we gave you tips on creating a garden you can enjoy during our Buffalo winters. In this article, we’ll give you ideas for creating a garden that looks great in the Buffalo area during the other three seasons as well. 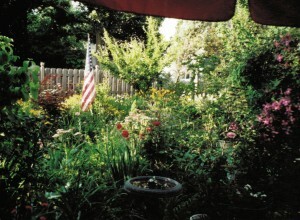 For examples of what you might plant, we’ll look to the garden of Wayne Gostomski and Tom Flanigan, who live in Buffalo. Their photos are used throughout this story. 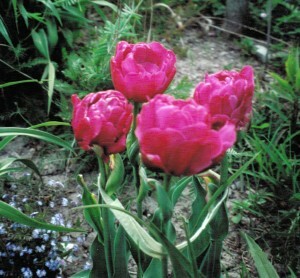 For spring color, think bulbs, such as crocuses, tulips, narcissus (daffodils) and hyacinth. 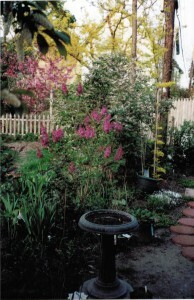 Spring garden in Buffalo, featuring lilac, center, which blooms in May. Crocuses come up so early in spring that you can plant them right in your lawn. They’ll be long gone by the time you need to mow your grass. You can plant summer and autumn perennials close to spring bulbs. As the spring bulbs are fading, summer plants are beginning to leaf out and can spread to help fill in the spaces. 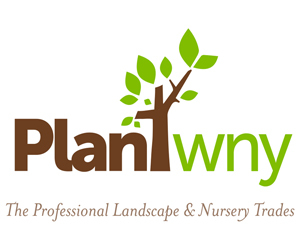 You can plan a garden in such a way that you have some color somewhere in your garden during spring, summer and fall. However, flowers come and go, so you won’t have color everywhere all the time. “I always have some annuals tucked in so I don’t end up without any color,” Gostomski said. 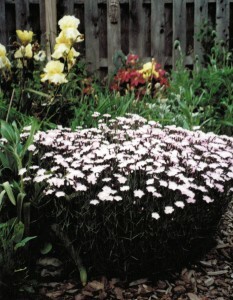 Also consider frost-tolerant annuals, such as pansies and straw flowers. You can get them at the beginning of April and they’ll bloom all through the summer and stay into the fall. Forget-me-nots are biennials. The flower turns to seed and grows into a plant. However, the plant doesn’t bloom until the following year. Don’t worry; you’ll get blooms every year once you get them going because you’ll have both year-one and year-two plants in your garden. Forget-me-nots spread easily, which may appeal to you if you have space to fill. Even though they spread easily, forget-me-nots are easily managed. When the flowers go to seed, rip out the ugly, spent plant, allowing seeds to scatter on the ground. However, leave the green plants, which will flower next year. May is also time for the fragrant dianthus, which is “like walking past a bottle of perfume,” Gostomski said. Clematis, a beautiful flowering vine, can bloom in spring or summer, depending on the variety. June is time for irises, though Gostomski and Flanigan’s irises were hit with a blight last year. In July and into August, daylilies take center stage in their garden. From August through September, they have bee balm, cone flowers, phlox and sedum. But the gardening season doesn’t end when September rolls around. Keep autumn and winter in mind when planning your garden. So far, we’ve been looking almost exclusively at smaller plants that get attention during spring and summer. But trees and shrubs are an important part of gardens. Because of their sheer size, you should think of them first as you plan your garden. Some shrubs look great in spring, such as lilacs. Others can give you color at different times of the year. Redbud trees have lovely blooms in spring and yellow leaves in autumn, Gostomski said. Trees and shrubs become particularly important in fall because they provide dazzling color and can become the focus of your garden. 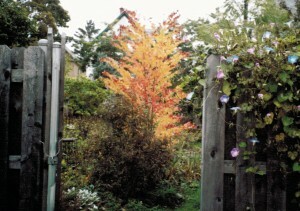 Check out the glowing leaves on Gostomski and Flanigan’s katsura. Dogwood leaves can turn red or burgandy. Some rhododendruns turn red. Berries can also provide color during autumn and winter. They also attract birds, which can be a welcome sight in winter. Buckthorn berries start out green, then turn red, then black. Honeysuckle also has berries. For more spots of color, look to rose hips (the fruit of the rose plant), which can turn bright orange or red. For more ideas on planning your garden, look at some of the lovely gardens that have been featured on garden walks.